Without proper care, your water heater can’t provide steady hot water for showers, washing clothes or dishes. While inconsistent hot water starts as a moderate inconvenience, it can quickly become a chronic impediment to your quality of life. That’s why at Service Doctors, we highly recommend scheduling annual maintenance to keep your hot water heater operating as it should and to isolate and resolve any problems at their earliest stages. 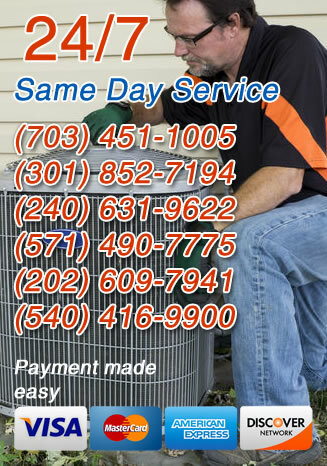 Whether you simply don’t know the last time your system was serviced or you’ve already made the proactive decision to begin a regular maintenance schedule, call us today to learn more about the water heater maintenance services we offer to all of our Washington, DC area customers. Fortunately, some water heater maintenance tasks can be performed by you in between maintenance visits. Regular annual maintenance then becomes a safety net, providing professional services that ensure your water heater remains in great condition. So, what can you do to keep your system in peak operating condition? Every week, check your water heater to make sure it heats water to the level you’re used to. Check the temperature setting on the unit and then run the tap to see how long it takes before the hot water arrives. If it takes longer or you notice a decrease in temperature, it may need to be adjusted. This simple task can keep your water heater from working harder to produce the same volume of hot water you use each day. If you have guests in your house and know your water heater will be in high demand, you may adjust the settings. If you really want to ensure everything runs properly for years to come, you need annual maintenance from a professional. Draining and cleaning your tank will go a long way toward keeping your system in good condition. During our annual maintenance visit, we’ll shut off the valve located at the top or bottom of the tank and drain the excess water. Once that is done, we’ll open the tank and wipe away any sediment that might build up and cause problems. These annual checkups allow one of our professionals to ensure there is no excess build up in the pipes or the working components of your water heater. The heating elements can be checked and replaced if necessary and the gas pipes (if it is a gas system) are checked along with the pilot light. Your water heater is a relatively simple device, but it can break just as easily as a complex furnace or boiler if not well maintained. If you live in the Washington D.C. area and you’re interested in learning more about regular hot water heater maintenance, call Service Doctors today.